He said about 12 IIA staff members are affected to some extent. Two of those employees are part-time, and three have shifted work to another project but that will end soon. Based on previous shutdowns, IIA will apply for reimbursement, but not expect it, Callison said. Asked what the economic impact on the company might be, Callison said that will depend upon how long the shutdown lasts. The EPA is one of the federal departments or agencies that are shut down because Congress and the president haven’t been able to agree on spending legislation because of a dispute over whether to include $5.7 billion for a wall on the border with Mexico. 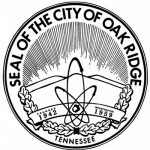 IIA has its corporate operations based on Union Valley Road in Oak Ridge. The company has 300 information technology systems designers, developers, mission specialists, and security professionals serving government, academic, and private entities from its offices in Oak Ridge, Tennessee; McLean, Virginia; Dayton, Ohio; Alexandria, Virginia; and the United Kingdom.